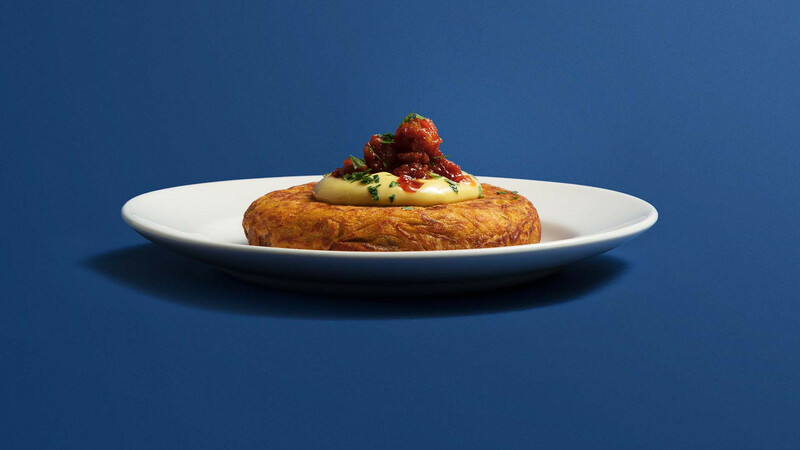 Talk of 'family-style' cooking and Michelin stars are usually mutually exclusive – you'd associate the latter with French-influenced fine-dining; recipes it would be nigh-on impossible for the average home cook to even attempt. 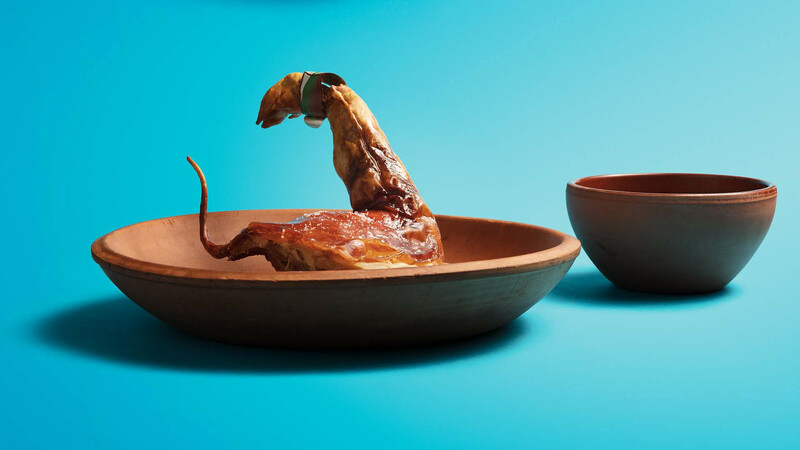 But the influence of Nieves Barragán Mohacho's family – especially her mother – shines brightly over her cooking. Growing up in the Basque Country town of Santurtzi, she recalls a childhood of travelling around Spain with her parents, absorbing the nation's different food cultures and iconic dishes, and of learning to cook at the stove alongside her mother, who would, as she recalls, "be cooking lunch, and then when we finished lunch she'd start cooking dinner." Barragán Mohacho moved to London a couple of decades ago, first as a kitchen porter at a restaurant chain, then as a sous chef at a couple of European restaurants, before joining Fino under restaurateurs the Hart Brothers in 2003 and becoming head chef four years later. 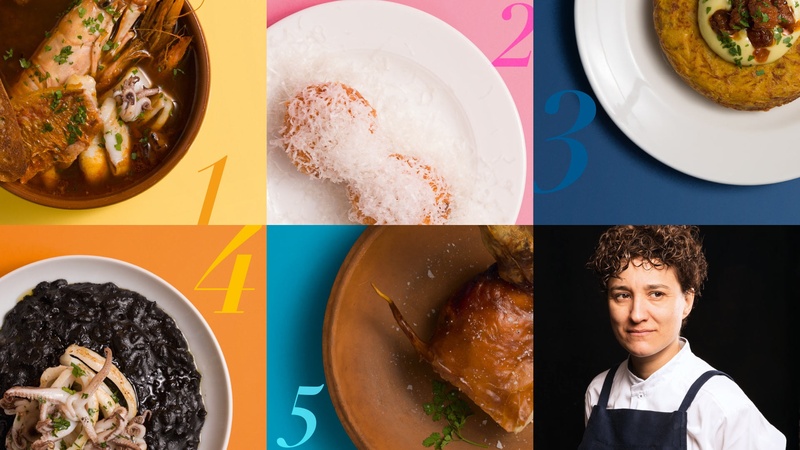 It was at Fino that she discovered London's appetite for traditional Spanish home cooking elevated not by haute-cuisine technique and modernisation, but simply by exquisite reproduction of classic recipes. When the same restaurateurs opened the first iconic iteration of Soho's Barrafina (to be joined by two more since then), her cooking earned the first a Michelin star – an uncommon accolade for a restaurant that was lively to the point of being chaotic, where Barragán Mohacho and her team served up unfussy, traditional Spanish dishes at a frenetic pace to a marble bar, inspired in part by classic Barcelona restaurant Cal Pep. 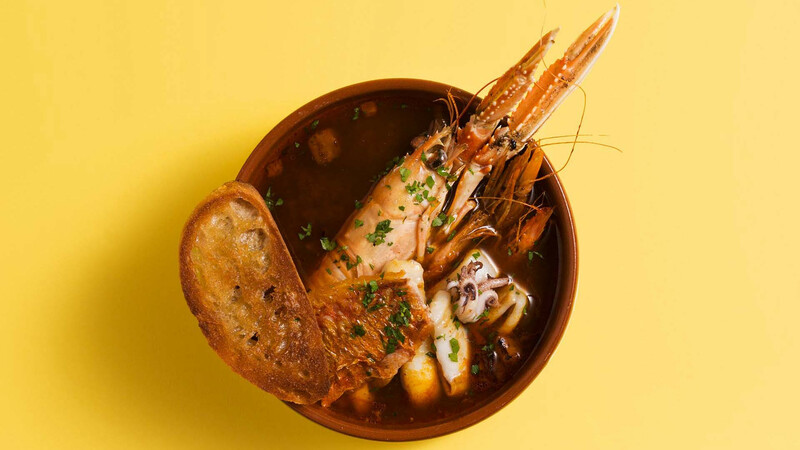 Now, Barragán Mohacho and her long-serving business partner José Etura have gone out on their own, opening Spanish restaurant Sabor on Heddon Street, with a focus on Galician-inspired seafood on the ground floor and wood-fired cooking at Asador upstairs. 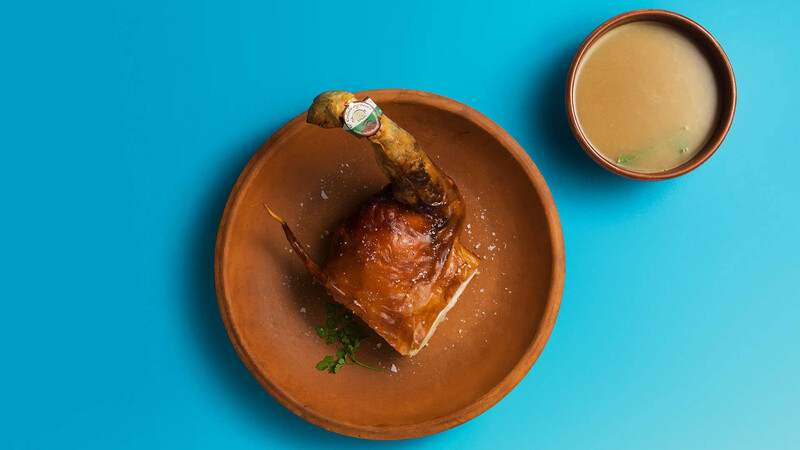 The atmosphere may be different, but Barragán Mohacho's ethos remains the same: stewardship of iconic Spanish food tradition. "In my career, at Sabor, Barrafina and Fino, I've always tried to cook the most traditional Spanish food I can. It's about ingredients, and respect." Just like her mother taught her. This is one of the different dishes my mother used to cook at home. In my house, my mum always used to cook something [to eat] with a spoon first, and we'd end with a main course. For our Saturday or Sunday classic lunches we'd have fish soup, and then we'd finish with lamb or suckling pig. It was one of my first flavours, and it reminds me of when I was young. It's so homemade, and so tasty. My mum's a good cook, so she'd be cooking the fish stew in the morning with an apron on – she'd be cooking lunch, and then when we finished lunch she'd start cooking dinner. I always wanted to help, so she'd teach me a lot of things. This is a classic dish. 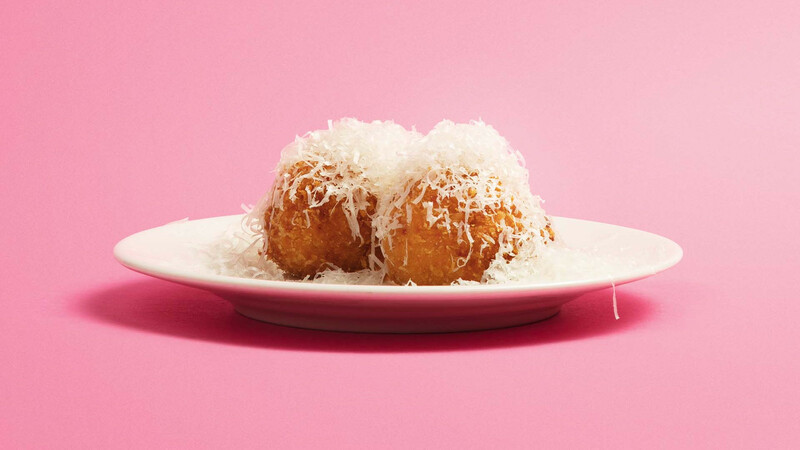 In Spain, when you go out and you have tapas, these are the main style of croquetas. The first ones I cooked were ham croquetas, when we opened Fino. They were my mum's recipe, again, and so are the ham croquetas that are still selling at Barrafina right now, but they're my own version. They were one of my signature dishes when I came to London. 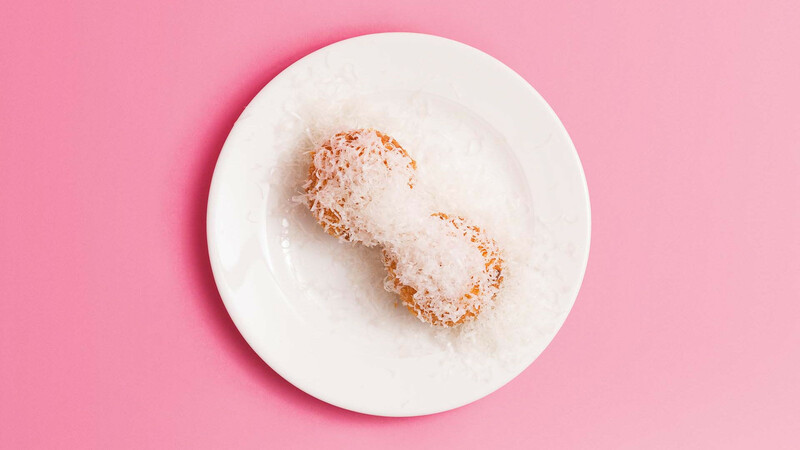 People seem to know me for making the most amazing croquetas – I don't want to say that myself, but it's what people seem to say. I was one of the first chefs to serve this kind of tortilla in London. 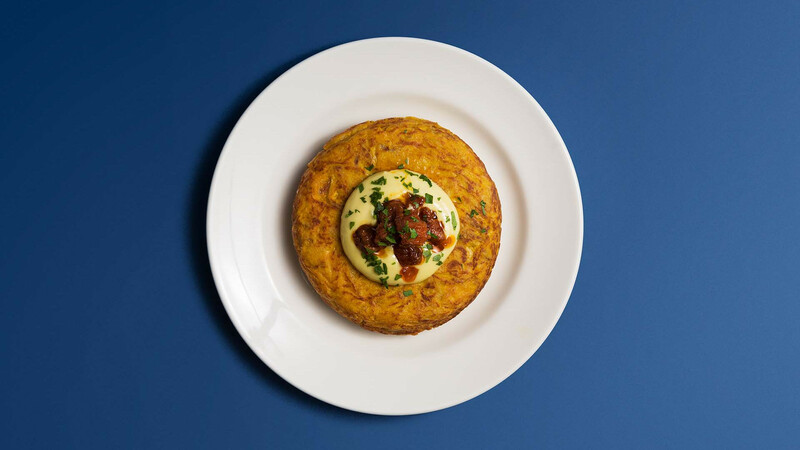 People started to say “Wow, this is the best tortilla I've ever tried.” Again, it means a lot because I remember it from when I was young, and it was another dish that opened the door for me in London. When I first started cooking here, I felt that authentic tapas in London had got a little bit lost. This dish was all about caring about what you're doing. 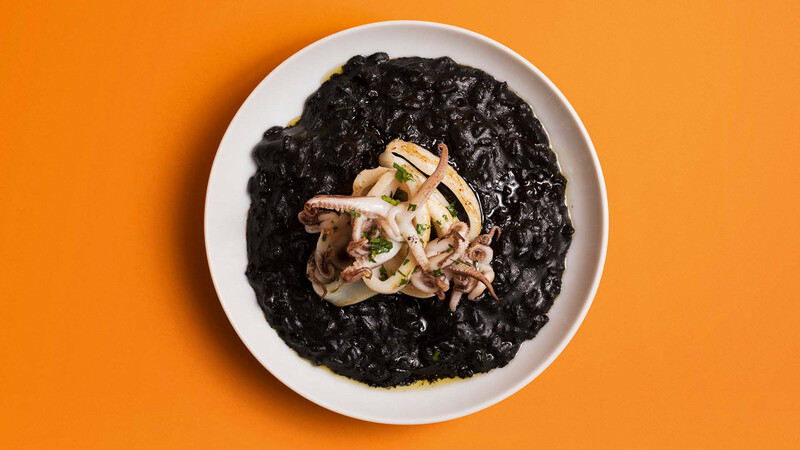 When I cooked at Fino, it was incredibly rare to see black rice on a menu in London. It was a challenge: because it's made with squid ink, you can taste the sea, and there's fish flavour in your mouth, but the way it looks isn't particularly appetising for some people. When I used to go to Valencia with my parents we would eat this, and it became one of my favourite rice dishes. Seventeen years ago at Fino, people's reactions were almost like Marmite: some people ate it and said it was one of the best things they'd ever tried, and some people looked at it and were freaking out. 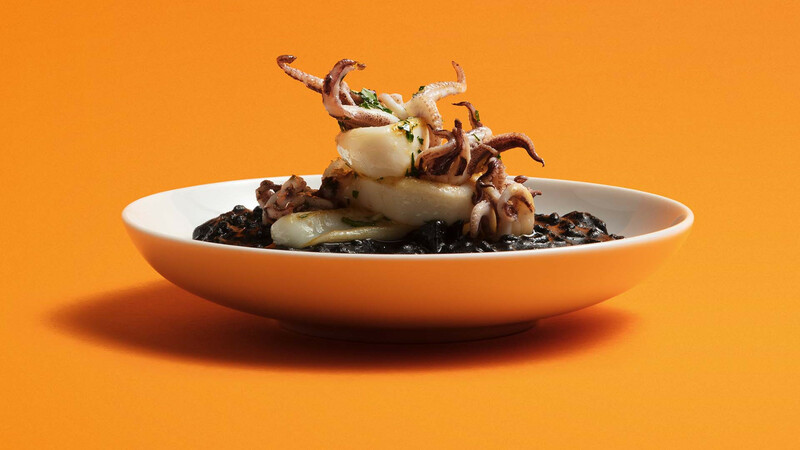 Today, it's another one of my favourites; people know me for my squid or cuttlefish ink black rice. For me, it means a lot. 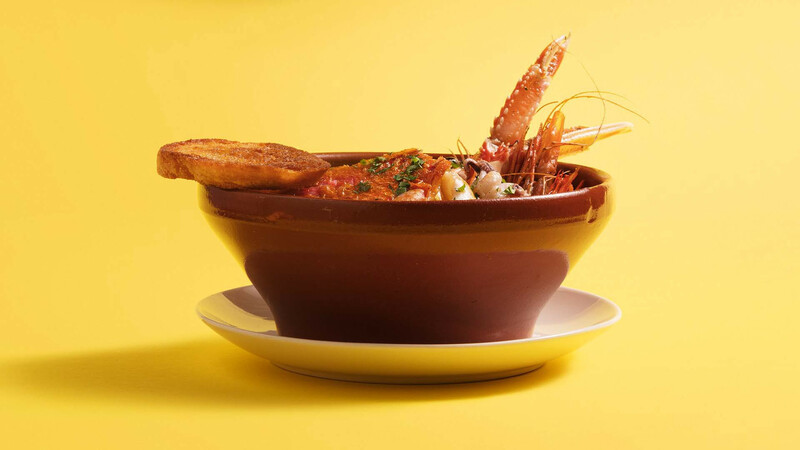 It's one of the dishes that really opened the London food scene up to traditional Spanish cooking. This is one of the signature dishes at Sabor. I have people saying “I have to go to Segovia [a small city north of Madrid, in the centre of Spain]” after they've tried our suckling pig. When I worked at Fino, I tried to introduce people to real Segovian suckling pig. At that time I couldn't cook it in an authentic wood oven, but people said how beautiful it was. Now, my dreams have come true, and I can cook it in the real way, in a wood-fired oven, and it's already been very successful at Sabor.